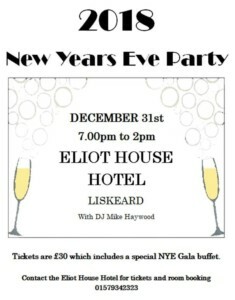 Join DJ Mike Haywood for a New Years Eve Party Dance at the Eliot House Hotel. 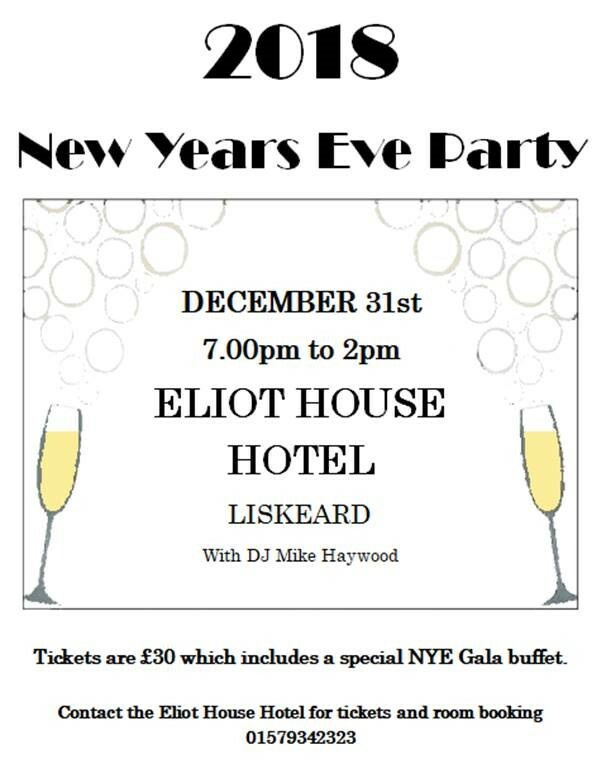 Early bird tickets are £30 which includes a special NYE Gala buffet. If you want accommodation then double rooms are only £70, which includes breakfast. Alternatively, the Premier Inn is nearby. This event is usually a complete sell-out so don’t leave it too late!. EARLY BOOKING IS ESSENTIAL.